Is It Worth It Getting an Academic Degree? College life is one of the main objectives of all students in schools because it is a stepping-stone for any career. It is universally perceived that after obtaining a college degree such a student will move on to get a formal employment. Therefore, students work hard in college so that they are certified before they seek employment. Thus, a degree is a certificate presented to a student after completion of coursework established by an educational institution. In this regard, the purpose of a degree is an indication that such a student passed through an educational system successfully. On the other hand, it is a universal perception that a degree is key to a successful life. However, this is not the case because success in life depends on the ability of the employee to perform his duties well, which is not linked to the degree certificate. For example, many college graduates have failed to succeed in life, whereas many other people with no degree qualification have prospered in life. The story of Bill Gates and Steve Jobs is a good example of people succeeding without a degree qualification. Every educational institution awards its students a degree as a certification of completion of a particular course. It is a scholastic achievement for a student based on the task presented in the classroom. On the other hand, job seekers are given a job based on their qualifications. This is because, a job seeker with a degree is deemed competent because he possesses the skills and knowledge necessary for that specific job. For example, a student in the education field is supposed to pass all examinations and go through teaching practice. Similarly, other professional courses require students to be exposed to the real work experience before they graduate or are conferred with a degree. Therefore, it is assumed that a student who has graduated with a degree is competent and has the prerequisite skills for a particular profession. Consequently, such an individual will become successful in life because they can achieve the best in their respective job professions. 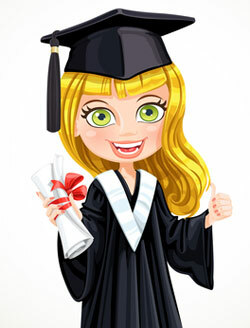 A degree is not a guarantee of a good paying job or a surety that such a graduate will obtain a job. Courses offered at the colleges and universities vary with their prospects in the job market. Traditional courses are always low paying with modern courses attracting high paying opportunities. Conversely, the high paying courses are very competitive, and this limits the number of students pursuing such courses. In the job market, employers are much interested with the skills of the student than the professional qualification. The success of companies and other business entities depends on the practical skills of employees, and this is not obtained in colleges. On the contrary, the practical skills and knowledge is obtained through experience in the job market. This indicates that the success of an individual depends on how well that student will acquire skills for the job. Here, a degree is not an essential for a successful career, but it is a consideration for the level of competence of the individual. The success of individuals in life depends on their efforts and passion for what they do. Whereas people desire high paying job, low-paying ones can still make an individual successful. However, the job market is diverse with many jobs that do not require college degrees. Such job opportunities rely on technical ability to achieve success. In conclusion, a degree is not a prerequisite for success in profession life. People like Steve Jobs who is a college dropout is a success story that shows passion commitment and technical ability are key to professional success.